Graphene and 2D Materials is a conference and exhibition that is co-located as part of the IDTechEx Show! The conference already boasts an impressive line-up of speakers for the next event in Berlin, Germany, from April 10-11, including BASF, Samsung, Mitsubishi Electric, The Sixth Element (Changzhou) Material Technology Co, and many more. Has the "chicken and egg" cycle been broken? Like many advanced materials, the problem of customers wanting volume production and the supplier unable or unwilling to scale-up their process has persisted in the graphene industry. Several big announcements and investments mean that this stand-off has been broken. At the conference, speakers from some of the largest producers, such as The Sixth Element (Changzhou) Material Chemical Co, and those expanding, such as NanoXplore and First Graphene, will present their latest developments and outlooks. Despite the commercial uptake, the production process and business models are still open to innovation and development. This is evident through the emergence of young companies and new market launches, both of which will be on display as part of the event. What are the current and emerging applications? The opportunities for graphene and other 2D materials continues to be extensive. The conference will give a view as to the commercial applications from both the industrial case-studies provided by producers and from end-users. The end-users on display will cover a broad range of applications and vary from young innovative companies through to some of the most significant players worldwide. Speakers already confirmed include, Mitsubishi Electric and Samsung who will both present on the use of graphene in electronic equipment and BASF who will give their perspective and outlook for this material. 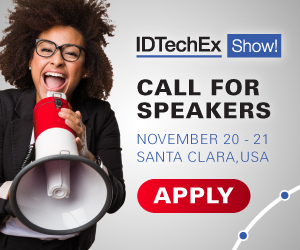 The conference agenda is driven by technical analysts at IDTechEx who provide impartial market intelligence on a range of emerging technologies. A masterclass dedicated to Graphene & 2D materials will be held on the day preceding the conference (April 9th) will provide a comprehensive overview and outlook for the industry. For more information concerning what is included at the event, please visit the website. This event is part of the IDTechEx Show! which brings together more than 2500 business attendees and 200 exhibitors to focus on emerging technologies such as graphene and 2D materials, advanced energy storage technologies, 3D printing, printed and flexible electronics, wearables and e-textiles, IoT and electric vehicles. Our attendees will have access to all these parallel conferences and the joint exhibition floor. Register by 25 January for a 25% attendee discount. A report from the IDTechEx Show!